Real deer urine has long been used to attract deer while hunting. This allows for hunters too see more game and bring them in closer for a good, ethical shot. However, scents using real animal byproducts have always had their problems and more have cropped up recently. In order to be effective, deer urine has always needed to be very fresh. With modern distribution at department and specialized hunting stores taking some time to accomplish, the scents hunters buy are often stale before they even purchase it. No preservative is available to both keep it fresh for any length of time or that does not interfere to some degree with the products effectiveness. This is aggravated by old stock from a previous year still being sold. Buying fresh from a vendor that only bottles during the season helps, but does not eliminate all of the handling issues. While fresh scent is obtainable, it does require special handling. It needs refrigeration. If not refrigerated, the ammonia content will rapidly rise and bacteria will begin to spoil the urine. In the field, using fresh urine in a scrape is great, but if you use a scent dripper, the scent may spoil while in use. Even under the best of circumstances, real urine products continue to degrade and are completely useless in less than three months. Any leftovers after that point are no longer usable and must be discarded. Chronic Wasting Disease (CWD) has reared its ugly head. It is a disease caused by proteinaceous infectious particles called prions. They are hard to eradicate and are thought to be carried in the urine and other secretions of deer. This has caused many states to ban them, making synthetic deer scents a necessity in those areas. Many deer farms are creating certification processes to be able to be labeled as CWD free and supply unaffected urine, but if you hunt in one of these states, it unfortunately doesn’t matter. So what can you do if you live in one of these states or are not interested in dealing with the handling of real urine? You can make the switch to a quality synthetic deer urine scent product. While the market was flooded early with big box brands filling the market with ineffective water and ammonia mixes, there are now high quality synthetic deer scents that replicate both urine and glandular secretions (such as Nelson Creek Outdoors ). 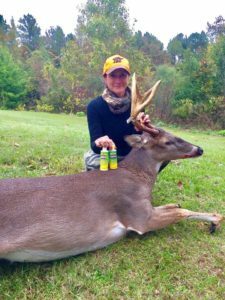 These premium products do an EXCELLENT job of mimicking real deer urine and rival the effectiveness of the real thing, perhaps even surpassing it. 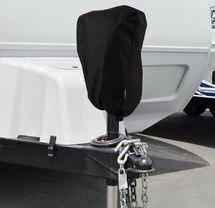 Synthetic scents require no special handling or refrigeration, have extremely long or indefinite shelf lives and are legal even in states that have banned real deer urine. If you put it in a scent dripper, the last drip will be just as effective as the first one. If you leave a bottle in your pocket until next hunting season, it will still be good and perfectly useable. There are no downsides to synthetic deer scents. Using synthetics is simple. Choose from regular deer urine, doe in heat, buck urine or even tarsal or preorbital gland scents. Use them just as you would real urine. They are also extremely effective used together or in specialized mixes. You can create mock scrapes, calm resident deer or create a trail for deer to follow to your stand. You will increase your odds of seeing deer and won’t have to mess with the limitations of products made from real deer. Lucky 7 Synthescents by Nelson Creek Outdoors are the highest quality, most realistic synthetic deer scents on the market today.